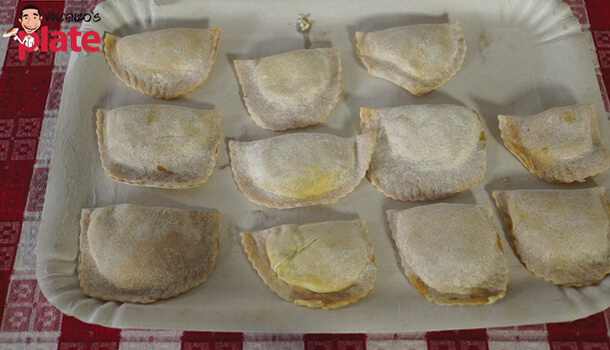 Soft and tasty homemade ravioli filled with spinach and ricotta. 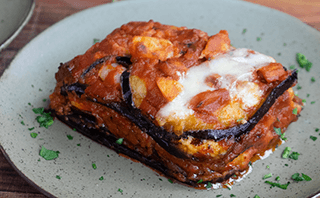 Easy to make with my Classic Tomato Sauce or my favourite, “Ravioli di montagna”. Start by cracking three eggs into the medium sized mixing bowl and beating them well. Add around 200gr of flour and mix well with your hands until you get a nice soft dough leaving the rest of the flour to the side. 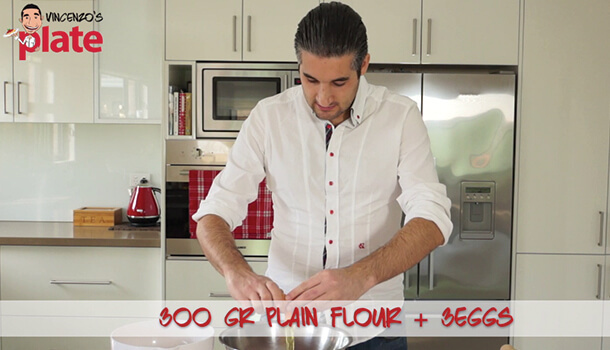 As you mix, you might need to add a little bit of extra flour because your hands will become sticky. Work the dough for at least ten minutes so that all the mixture has started to bind and you have formed a soft ball. 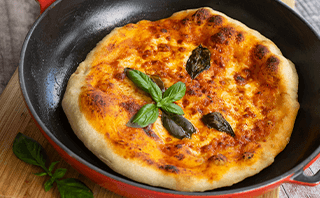 Move the dough on to a wooden board or kitchen bench and continue to work it making sure the dough is not too hard, as it needs to be firm yet soft. If it’s sticky, add a little bit of extra flour. Punch the top/bottom of the dough to let the air out and create a ball. Wrap it in cling film (glad wrap), making sure it is completely covered and place it in the fridge while we make the filling. 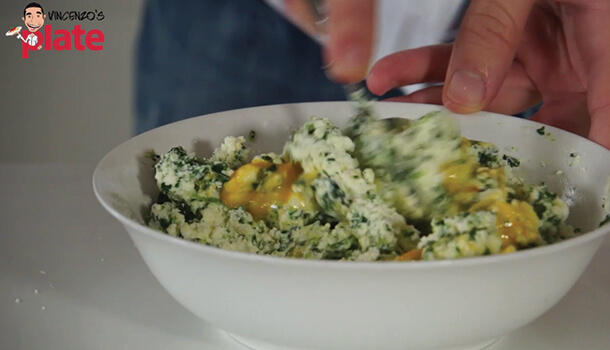 Squash the ricotta in a bowl using a fork. Add the strained spinach and mix together well with your fork. Now, add a generous amount of fresh grated parmesan and mix once again! Crack the egg and add it to the mixture, beating it well and making sure it is spread well and you can no longer see the yellow colour of the egg. Remove the dough from the fridge. It should have been resting for at least 15 minutes. 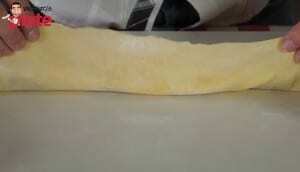 Cut a small portion of dough in preparation for the first sheet of pasta. Place it on top of the flour and work the dough again by pressing down with the tips of your fingers until it is flattened. 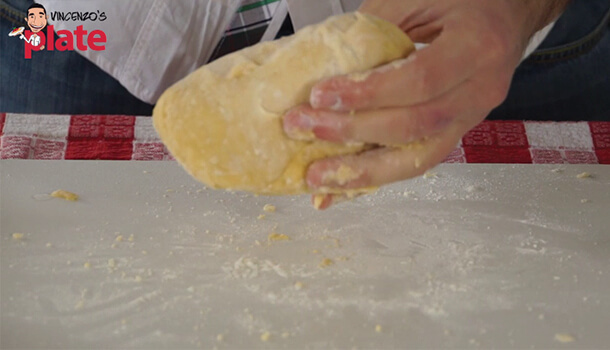 Get the rolling pin and roll it over the piece of dough forward and then back, making sure it doesn’t get stuck to your working area. Now, turn the piece of dough so that it is vertical and work the dough with the rolling pin again, slowly stretching it to make it larger. Turn it over and repeat. Then, place the sheet horizontally and use the rolling pin one last time to widen the sheet. 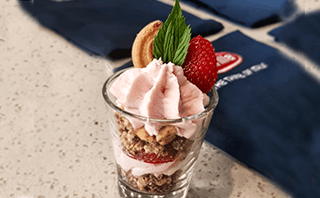 Each spoonful of filling should be 3cm apart, and not too high. 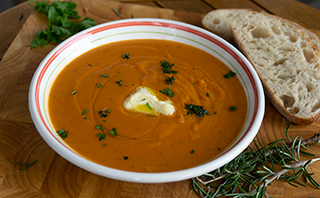 Crack an egg and beat it well in a small mixing bowl and leave it to the side. 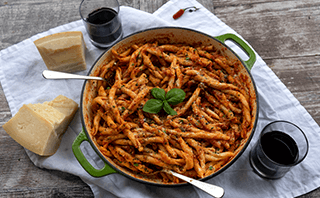 You may need this to help seal the pasta together later on. 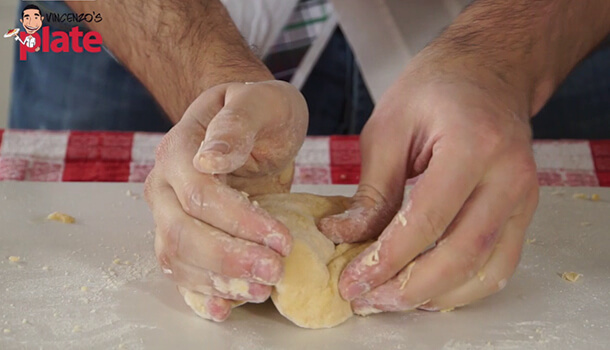 Now, fold over the top section of the dough so that it meets the bottom – be gentle and press down using the tips of your finger so that you are binding the border of the ravioli together. If the dough is not sticky enough, you may need to use a small amount of egg mix, lining the inside with your finger and pressing the layers down on top of one another. Now, using both hands, cusp each ravioli to remove the air, and begin to separate each of them. Using a fork, lightly seal the front section by pressing down gently from one end to the other. Now, using the ravioli cutter or a knife, cut out four ravioli shapes, making sure you leave a border so there is enough pasta to cook around each one otherwise they will break open when you cook them. 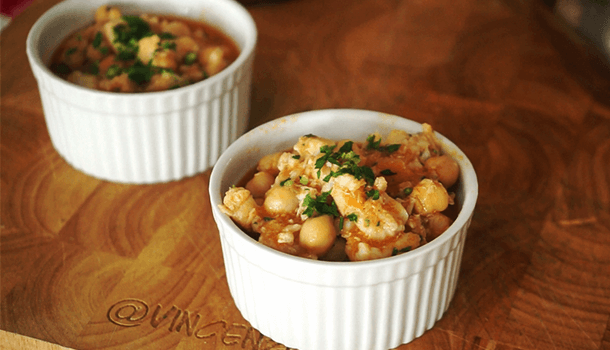 Repeat this process until you have made enough ravioli for your meal! 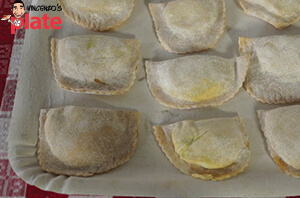 Click here to view my Ravioli di montagna recipe for how to cook these ravioli and a delicious sauce to accompany them.